Product #1234 | SKU C21-7331-221 | 0.0 (no ratings yet) Thanks for your rating! A telephoto lens suitable for amature and professional portraiture. 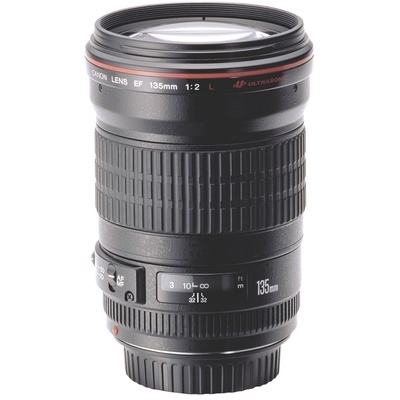 The Canon EF 135mm f/2L USM is designed to meet the needs of a wide range of advanced amateurs and professionals. A ten element optical formula with two UD-glass elements serves to correct residual aberrations, resulting in superb sharpness and high image quality. It is also able to obtain superior background blur with the f/2 wide aperture. The EF 135mm f/2L USM is fully compatible for AF with Extenders 1.4x and 2x. A stellar portrait and available light lens.